Decade boxes with a complete range of easy to use resistance standards offering the highest accuracy and widest range commercially available. 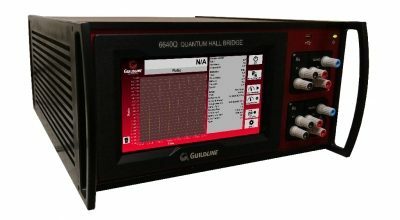 GUILDLINE INSTRUMENTS 9340 SERIES of Decade Box, Resistance Standards are a complete family of easy to use resistance standards offering the best combination of highest accuracy and widest range commercially available. 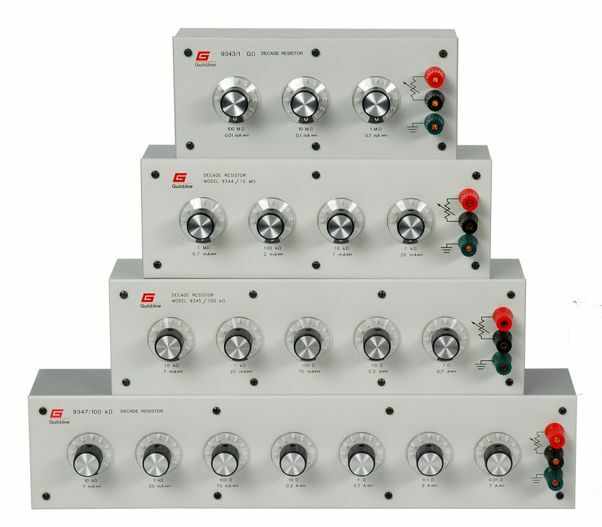 There are 5 standard types of decade box available from 3 dial to 7 dial. 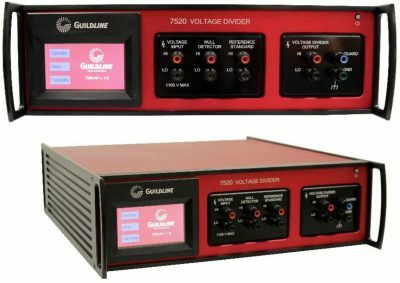 The smallest increment offered is 10 mΩ full-scale total resistance available is just over 10 TΩ full-scale resistance values in the range are available in all the dial sizes. 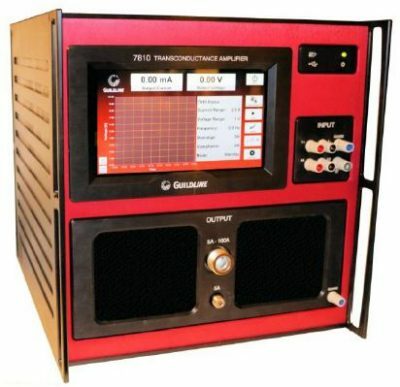 Accuracy of the 9340 Decade Resistance Boxes is better than ± 0.01% from mid range of 1Ω to 10MΩ Steps. The 0.01 Decade at 1% absolute accuracy equates to only a 100µΩ total error or 20 times more accurate than just other decade boxes floor specification at 2 mΩ. Not only are the accuracies much better, other important specifications such as current handling capabilities, long term stability, temperature and power coefficients are also typically 5X to 10X better than the nearest competition. The 9340 truly set the highest standard for Decade Resistors.